Free contest entry to win body armor from a company I like. 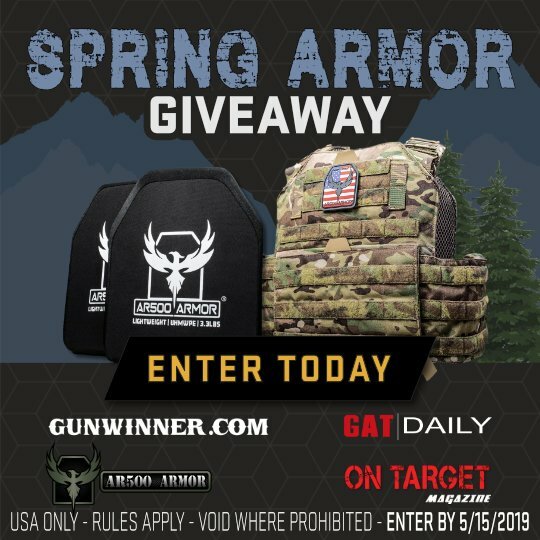 Guys, I make nothing from this, and I have no affiliation with this company, beyond a satisfied customer; but you can register here, for free to win a full set of body armor. You do NOT have to buy anything to enter, so good luck my friend! SO, If you win, I will need to kick myself, ROFLOL! Lots of good people here, and I already have a couple of sets, so have fun, and stay safe! You got more than 65500 replies. Your next target is to reach 66000 replies.